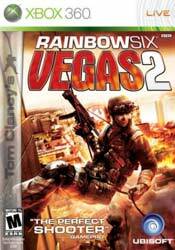 Tom Clancy’s Rainbow Six Vegas 2 will give you a chance to rescue America’s sin city from an escalating terrorist siege that will introduce you to heart-pounding action from beginning to end. Rainbow Six Vegas 2 will let you play as Bishop, a new member of the Rainbow squad who is soaring through the ranks. You can also customize your character with experience points earned in both single-player and multiplayer. Pick between a male or female character in the singleplayer mode. You will also be able to customize your character in lots of different parts and ways. Put your face onto your character by using the Xbox Live Vision camera. That Wasn’t So Hard (5) Complete a scene as Bishop’s teammate, Knight, in co-op Story mode at any difficulty. Completed Old Vegas (25) Complete Old Vegas in Story Mode at any difficulty. Completed Convention Center (25) Complete Convention Center in Story Mode at any difficulty. Completed Nevada Desert (25) Complete Nevada Desert in Story Mode at any difficulty. Freedom Shall Prevail (75) Complete the Story Mode on Realistic difficulty. Weapon Collector (30) Unlock every weapon in the game. My Name is Sam (25) Neutralize 5 terrorists in a row by performing headshots using a Sound Suppressor. Here’s for a Wicked Five! (20) Complete 10 scenes as Bishop’s teammate, Knight, in co-op Story mode at any difficulty. Veteran Hunter (20) Complete 5 Terrorist Hunt missions at any difficulty. Extreme Hunter (50) Complete all Terrorist Hunt missions on Realistic difficulty. Pointman (10) Kill 50 enemies in multiplayer adversarial with at least 6 players present. Gun Shark (25) Kill 300 enemies in multiplayer adversarial with at least 6 players present. Don’t Mess With Me (45) Kill 1000 enemies in multiplayer adversarial with at least 6 players present. The Ace Always Wins (5) Win your first ranked match online. Three of a Kind (15) Win 3 consecutive ranked matches in a row. The House Always Wins (15) Host and win 10 matches with at least 6 players present. Kamikaze (10) Plant and detonate 10 bombs in Attack & Defend with at least 6 players present. Sidearm Frenzy (25) Kill 100 enemies using a Pistol with at least 6 players present. 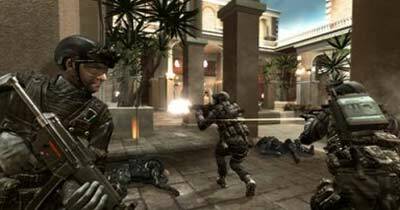 Spray and Pray (15) Kill 100 enemies using a Sub-Machine Gun with at least 6 players present. One Shot, One Kill (30) Kill 100 enemies using a Sniper Rifle with at least 6 players present. Private First Class (10) Achieve the rank of Private First Class. True Identity (20) Use the Xbox Live Vision to create a character with your appearance.